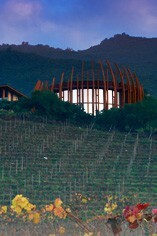 Casa Lapostolle was established in 1994 and is already one of Chile's leading wine producers. It is owned by the Marnier-Lapostolle family, producers of the famous Grand-Marnier liqueur, and is managed by Alexandra Marnier-Lapostolle. The operation is located in the Colchagua valley in the Rapel district and the company now has over 500 hectares of vineyards at its disposal. The wines, unsurprisingly, marry the natural benevolence for which Chile is so famous, with an elegance and subtlety, which has been nurtured by Bordelais wine-making guru, Michel Rolland. The elegance and complexity is underlined by blending; their Cab. Sauvignon contains 15% Malbec that refines the tannic structure and adds a savoury backdrop to the generous fruit. Casa Lapostolle is most renowned for the outstanding quality of its Merlot. This is Michel Roland's signature grape and is also the most successfully grown grape in the Colchagua valley. The Merlot Cuvée Alexande is a rich, dense and opulent wine that is packed with succulent, ripe, black fruits with hints of chocolate and Asian spices. Lapostolle Wines was founded in 1994 by Alexandra Marnier Lapostolle, heiress to the Grand Marnier empire, to create world class wines using the French experience and the magnificent terroirs of Chile. 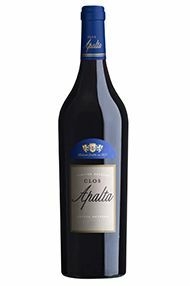 The company now owns 370 hectares of vines, producing around 200000 cases annually, with the jewel in the crown being Clos Apalta, a single vineyard cuvee from a sub region of the Colchagua valley. First launched in 1997, the wine is a blend of Carmenere (Chile’s signature red grape), Cabernet Sauvignon and Merlot. Made with a firm nod to Bordeaux, but from the more Mediterranean climate provided by this part of Chile, the 2014 vintage is the finest to date.